We offer the best quality in TV Stands and Hi-Fi Units so that everyone can achieve that all important wow factor in their home. 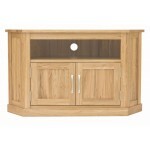 We have the modern Mirrored TV unit or a magnificent Solid Oak TV Cabinet and matching Oak Hi-Fi units. They are wonderful pieces of furniture that serve their purpose brilliantly. This gives an everyday piece of furniture finesses to make your room warm and inviting. 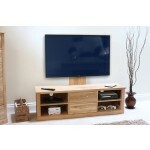 Built to fit any space, whether it be a TV corner cabinet or a widescreen TV unit, we have got something that will work for everyone. Each one comes with the extra bonus of added storage for all the commodities such as DVD players, consoles or set top boxes. Give your living space some sophistication with a stunning and functional TV or Hi-Fi Unit.